Read the full report (.PDF, 2.2 MB). The Deer Farm and Park Demonstration Project is a partnership initiative between Scotland Food and Drink, NFU Scotland, SFQC Ltd, and the Scottish Venison Partnership. A significant proportion of funding for the two year project has been made available through the SRDP Skills Development Scheme which is jointly funded by the Scottish Government and the European Union. 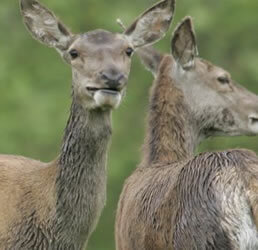 The project is being delivered by its partners and the Venison Advisory Service Ltd.